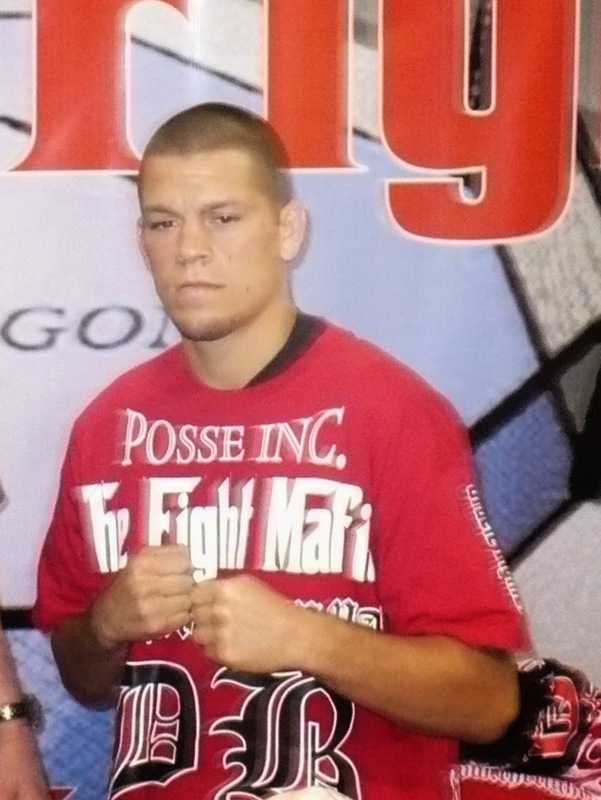 Nate Diaz ain't scared, homie, and lately he seems to have some beef with his employers. Despite winning a season of TUF, establishing himself as a top ten fighter in the the lightweight division, and fighting for the belt, the younger Diaz brother is not happy with the quantity of Benjamins the the UFC sends his way. The UFC has announced Bruce Lee as a playable character in their upcoming EA Sports video game, and in the promotional materials, the famed martial artist is hailed as the "Father of MMA". This designation has some crying foul. Prior to the New Jersey State Athletic Control Board taking an active role in overseeing MMA, the Garden State had as its lone combative sport option B.A.M.A. Fight Night, which was run by "Big" Dan Miragliotta and featured just about every big name in Northeast fighting getting their feet wet in the ring. It was definitely something special to watch, but it had to end at some point. Here are pics from the last show. Team MMA Fights Because Why the Hell Not? Thus far, in 20 years of MMA, we've seen funky tournaments where the grapplers and strikers are kept in separate divisions and meet at the end (the World Combat Championships), we've seen fights take place in a literal bowl (Yamma), and we've seen hokey team competitions (the International Fight League). But now there's a new player on the "WTF" block, and it's the Team Fighting Championships, which is thankfully the closest thing we'll ever get to that gang fight in "The Outsiders". After the jump, check out a battle between Poland and Sweden.